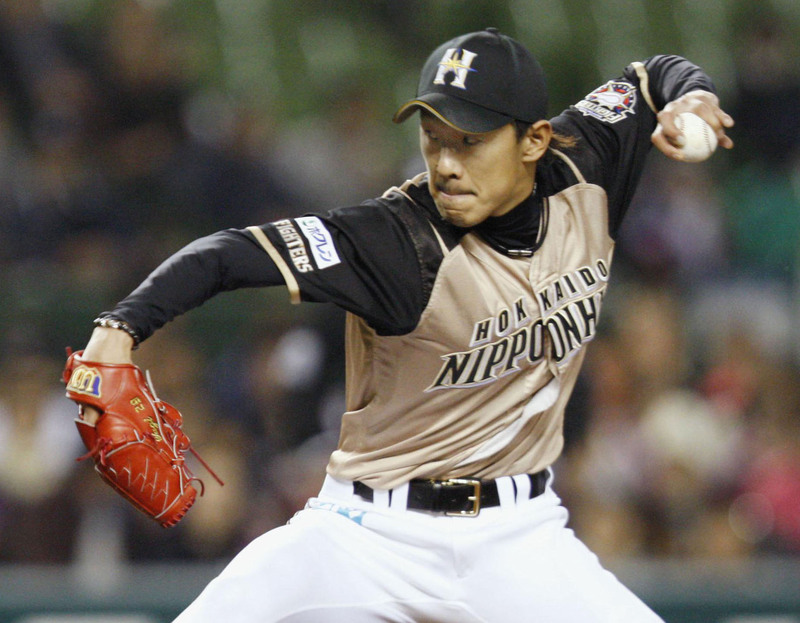 Tomoya Yagi will be attempting to revive his career when the 2013 NPB season begins. So will Shun Tono, Takahiro Mahara, and Kei Igawa. Just like Hayato Terahara and Hiroshi Kisanuki before them. Either by design or coincidence, the Orix Buffaloes’ pitching staff has become a halfway house for wayward hurlers. Pitching coach Takashi Nishimoto will be the point-man for new manager Hiroshi Moriwaki as Orix attempts to get its quartet back on track in what the team hopes will be a mutually beneficial arrangement. Make no mistake either, the Buffaloes absolutely need their restoration project to yield dividends. Pitching was a major reason Orix pulled up the rear in the Pacific League with a 55-77-10 record last season. Orix’s 3.34 team ERA was the league’s worst — the PL average was 3.03 — with Seibu’s 3.24 the next highest. The team was 35-29-7 when it got a quality start, but its hurlers only managed a PL-low 71 of them. Three of the ‘better’ pitchers from that staff left over the offseason. Kisanuki, better in 2012 than a 5-9 record suggests, was traded to the Hokkaido Nippon Ham Fighters Wednesday in a five-player swap that also included Yagi; Terahara signed with the Fukuoka Softbank Hawks; and Orix gave up on re-signing Alfredo Figaro, who wants to remain in the U.S. 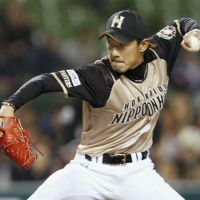 Which leaves the cupboard bare aside from Yuki Nishi, who no-hit Softbank on the final day of the season and led the team with eight wins in 2012, reliever Yoshihisa Hirano, 7-4 with 21 holds and nine saves last year, and Chihiro Kaneko, limited to nine starts in 2012 because of injuries. So the pressure is on the not-so-fantastic four to get things turned around. Each once roamed near the pinnacle of Japanese baseball, only to suffer a very public fall from grace. Igawa was a 20-game winner for the Hanshin Tigers and co-Sawamura Award recipient in 2003. He signed with the New York Yankees in 2006 and was a famously expensive nightmare for five disastrous years. Igawa returned to Japan last season and was 2-7 with a 4.65 ERA in 12 starts for Orix. The remaining trio, each new to the team this year, were all Japan Series winners in the past. Yagi was the PL Rookie of the Year in 2006 and helped the Fighters capture the title that season; Tono won with the Yomiuri Giants in 2009 and was a 13-game winner the next season; Mahara, a reliever, twice surpassed the 30-save mark, was a member of Japan’s triumphant 2009 World Baseball Classic squad, and won the Japan Series with the Hawks in 2011. Injuries and chronic inconsistency derailed Yagi and Mahara. Tono lost a few ticks on his fastball over the past few seasons, and his control hadn’t been that great to begin with. Yomiuri’s offense mostly hid his warts, but the bottom fell out in September of 2010, when Tono allowed at least three runs in two or fewer innings three times over six starts and quickly fell out of favor with manager Tatsunori Hara. Reliable pitching could go a long way toward solving a lot of problems in Kobe, but the team will need a resurgent effort from both its returning members and the pieces added over the winter. Orix brought All-Star outfielder Yoshio Itoi to the fold and should be better at the plate, but if the Buffaloes’ pitchers can’t keep the opposition off the scoreboard, a better offense merely opens the door to lot of high-scoring defeats. Maybe it’s a little optimistic to expect a full return from Igawa, but the others can rebound into more than solid contributors. Either way, the results of Orix’s mound-based group therapy session will help determine whether or not the Buffaloes escape the PL cellar.